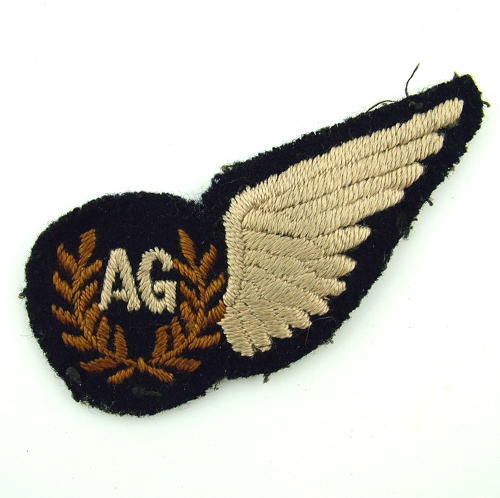 Very nice padded 'AG' brevet in oatmeal coloured thread. Black cotton backing. Unusual shape with padding only in the feathered area. Very good used condition. Stock code U22497.